Short Story Collection Now Available! Hey everyone! 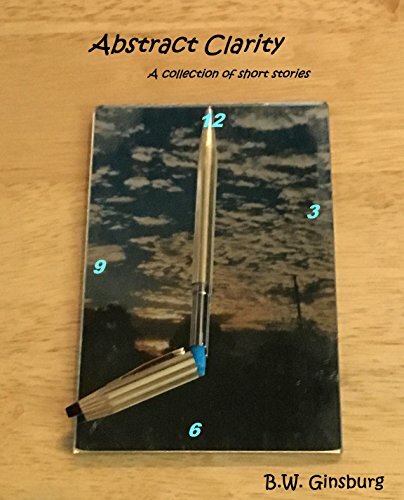 My short story collection, Abstract Clarity, is now available for purchase in Kindle and paperback format on Amazon.com! To check it out, please feel free to do so by clicking on the link below! Thank you for all your support! Short Story Collection To Be Released Soon! Hi everyone! It’s official – in a few days I will be publishing my second book! The book will be a collection of adult horror and fantasy fiction and will include five short stories! I am very excited to share my writing with you! All will be revealed on this blog, Instagram, and on Goodreads. Once the collection of short stories is published, I will let you know! I hope you’re all doing well and thank you so much for supporting my writing! Stay tuned for further updates! Hi everyone! I hope you’re all doing well! I don’t know how many of you still check out my blog on a regular basis, but you’ve probably noticed that I haven’t posted a lot about anxiety lately. This is in no way because I don’t struggle anymore (unfortunately, I still struggle a lot) or that I don’t care about mental health issues, but rather because when it comes to writing, I’ve been focusing on writing more positive things. I feel it’s only right to update you on my mental health. As I mentioned, I still struggle with anxiety and panic attacks. The panic attacks aren’t nearly as bad and frequent, but the general anxiety is very difficult for me. I’m still trying on a daily basis to get through it. On a positive note, I have made a lot of progress in some areas! In addition, unfortunately, I haven’t been exercising and facing my fears like I should. It’s a horrible trap to fall into – I think pure laziness and being occupied with other things has gotten in the way. On one hand, distracting my mind with working on my writing is a good thing, but on the other, I should definitely still be spending a lot of energy on working hard to get better. By just sitting around, my anxiety isn’t going to lessen or be easier to manage. I want you to all know that I am still here for you – seriously. I’m not going to stop blogging about anxiety and mental health. If you need to talk, I’m here. Please remember that the best way to get through anxiety is to do what works best for you. Taking small, manageable steps in facing fears is what I find personally helpful. It allows the anxiety sufferer to take their own, beneficial steps in order to overcome their obstacles. Once again I hope you are all doing well. Hey guys! I’ve just updated my other blog, Rest in Piece Blog, to get ready for the upcoming release of my new short story collection! The changes aren’t big, but in order to get ready to write about more than just one book, I had to make some minor adjustments. I am very much looking forward to sharing my new collection with you! I’m not quite sure when it will be published, but it should be fairly soon! There will be five short stories in all and they will be a mixture of fantasy and horror. I would like to thank those of you who have continued to support me in countless ways. Your friendship and readership both mean the world to me! If you have any questions about my new short story collection, please feel free to let me know! First Round Of Editing Complete! 1.) One more round of editing – A family member of mine who gives me constructive criticism is currently in the process of going over the stories for a final time! 2.) Cover Design– My mom will again be helping me with the cover. I’m very excited to see how it comes out! 3.) Formatting – Before publishing, I will make sure that all the formatting is correct. Line and paragraph spacing, inserting the author’s note and dedication page, creating the table of contents, etc. 4.) Publishing – I plan on publishing my short story collection on Kindle Direct Publishing! Hey everyone! 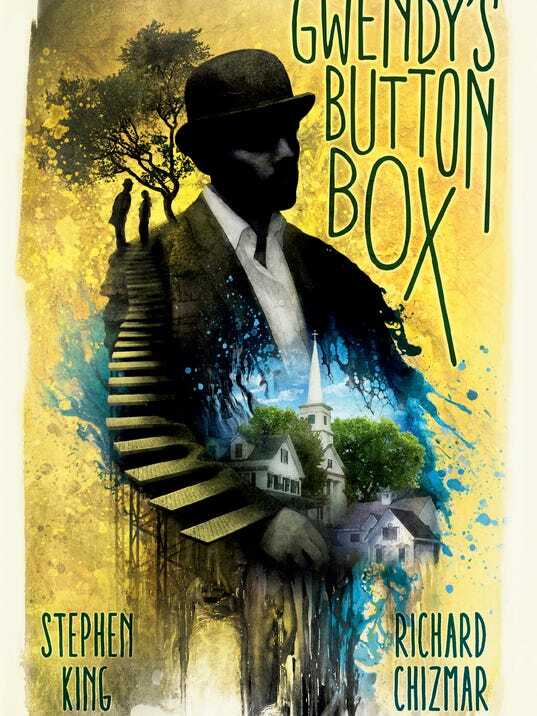 I just finished Stephen King and Richard Chizmar’s Gwendy’s Button Box! I decided to review it for you guys! My review can also be found on Goodreads. Gwendy runs up the Suicide Stairs every day so that she can lose weight. One day, she meets a stranger who gives her a strange box with buttons on it. The man states that the box is for only Gwendy and that the box contains two things that she will find quite beneficial – chocolates and coins. Before Gwendy realizes what’s going on, she finds herself responsible for much more than a young adult could ever imagine. Gwendy’s Button Box is a fantastic novella. Right from the start, I was intrigued. The story is fast paced and doesn’t have a dull moment. The best books give the reader something to think about and Gwendy’s Button Box definitely achieves this. It makes you question what you would do if you were in the main character’s shoes.